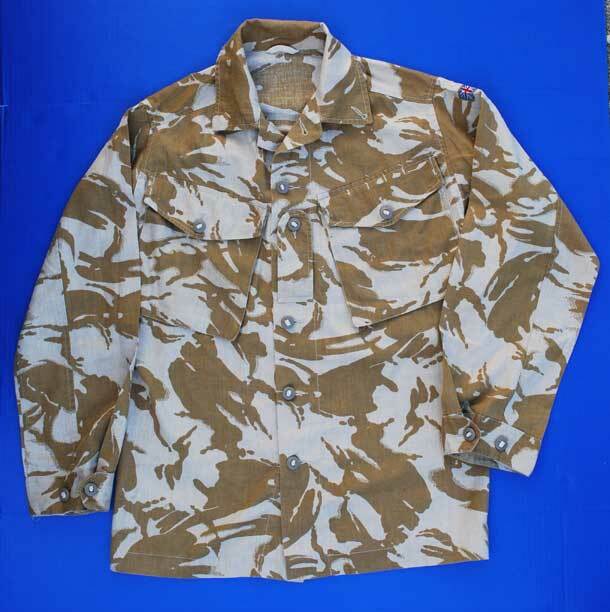 Lightweight, new-style British Pattern 95 tropical desert DPM camo shirts are in previously-issued, overall good condition. Genuine British surplus shirts feature modern style rank tab on front placket, tab sewn buttons and two front chest pockets. Includes British sleeve flag patch on left shoulder, unless otherwise indicated. To accommodate warmer Middle East deployments, these shirts are cut slightly oversized in comparison to other British military-issue shirts marked with similar sizes. Our US size conversions are based on actual, comfortable test fit over t-shirt.